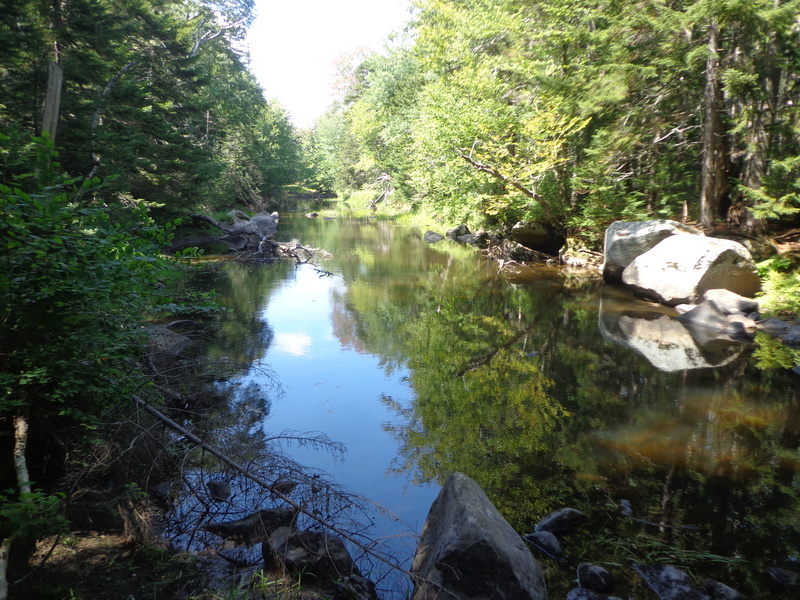 Today’s gloomy snow, sleet and freezing rain inspire memories of a warm, sunny early September day spent hiking along the Ducktrap River of Camden Hills State Park in Lincolnville. With temperatures in the low 80sF, blue skies and a negligible breeze, the weather was perfect for my husband and me to enjoy a belated anniversary get-away. Lincolnville is a small, picturesque blip on Rte 1 just above Camden. Ducktrap Harbor was named for its peculiar topography. Ducks entering the area could be trapped by cutting off their exit. The high trees surrounding the water did not allow the birds to achieve enough altitude to escape hunters’ guns. Ducktrap River flows into the harbor and then into the Atlantic Ocean. 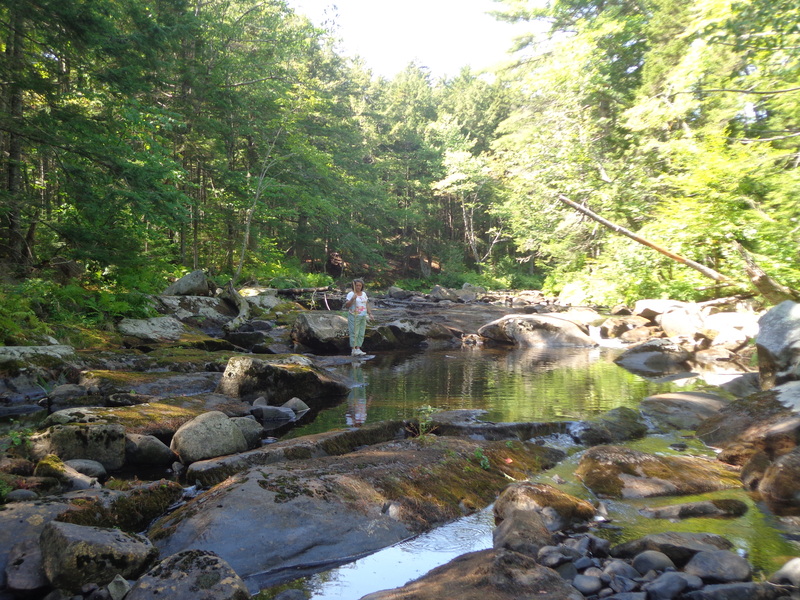 This river is one of only eight in Maine where native wild salmon spawn. It is a pristine waterway running through protected woodland. Tall, old-growth trees crowd the trails, their roots throwing up obstacles for careless hikers. To walk the path safely requires constant monitoring of foot placement. The air is scented with a fragrance of conifer needles baking in the sun, moist soil and moss and the faint tang of the nearby ocean. The silence of the trees is disturbed by frequent rustlings of birds and small mammals in the underbrush. Birds call from the branches overhead, their songs mingling with the distant cries of gulls and other seabirds soaring above the canopy. An easy twenty-minute walk (notwithstanding the ankle-turning roots) leads to the river. 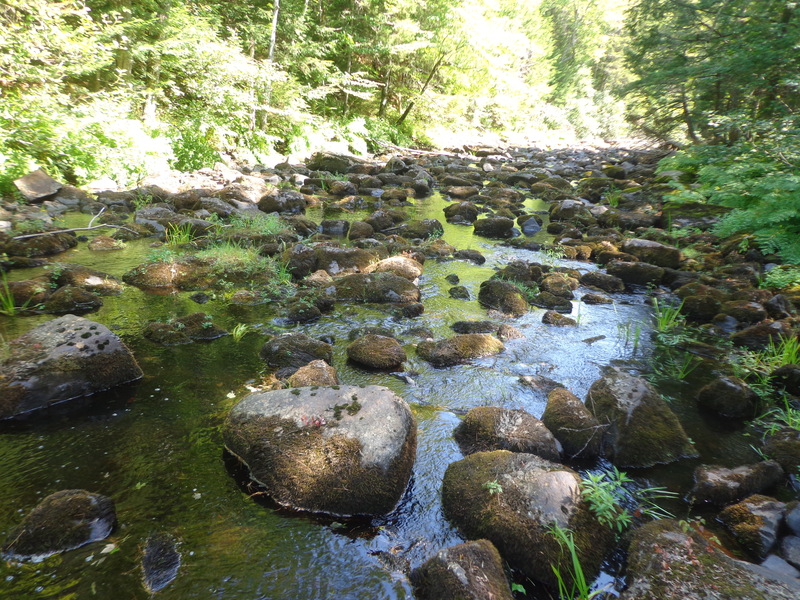 In September the water level is low, exposing the bed of granite, basalt and metamorphic rock. Water pools between the rocks providing cool sanctuaries for schools of tiny fish. In places the rocks are slippery with damp moss, while in other spots tenacious flowering wild annuals display their blooms. Cicadas whine in the early autumn heat. 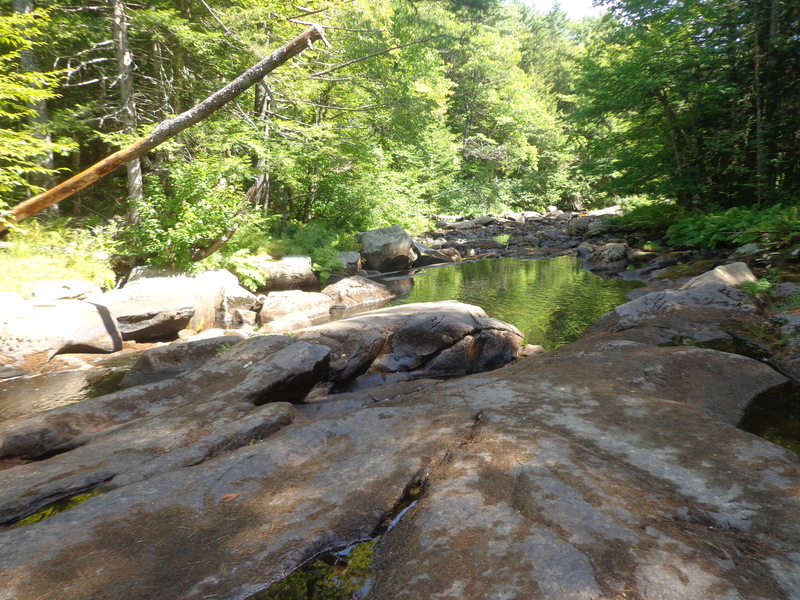 The water is a refreshing treat for hot hikers’ feet. Farther upstream, the incline of the land levels, reducing the water to a sluggish flow amid earthy banks and pocket wetlands. The trail meanders along the banks, crossing small, dry streams. 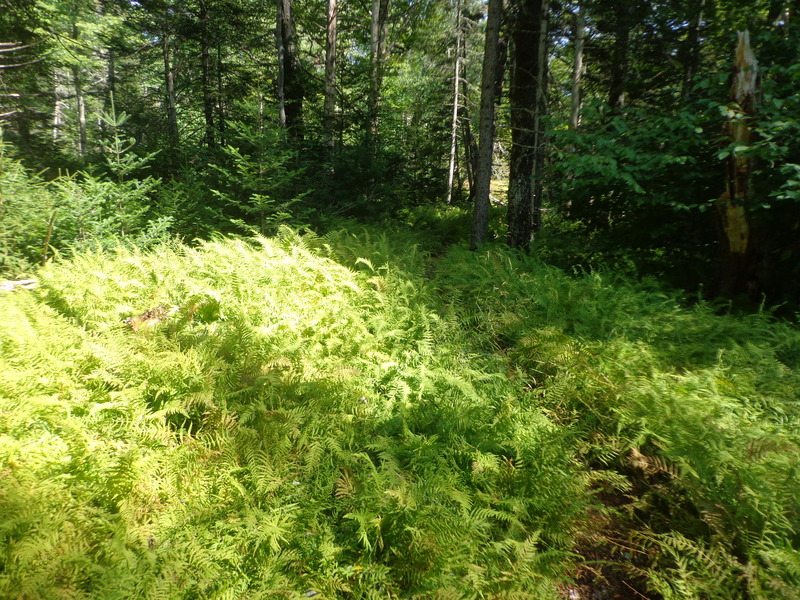 Sometimes the way veers deeper into the woods, leading through thick stands of fern. 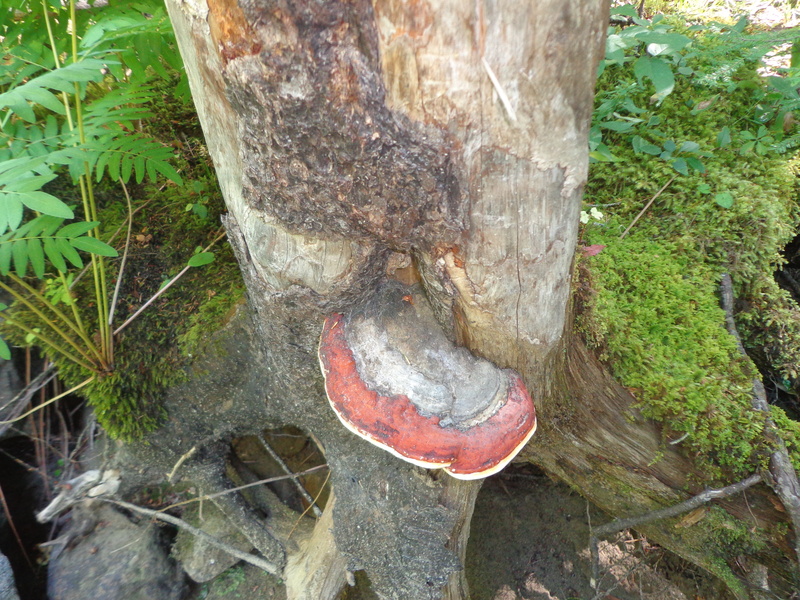 Unusual red bracket fungi sprout from the trunks of occasional dying trees. 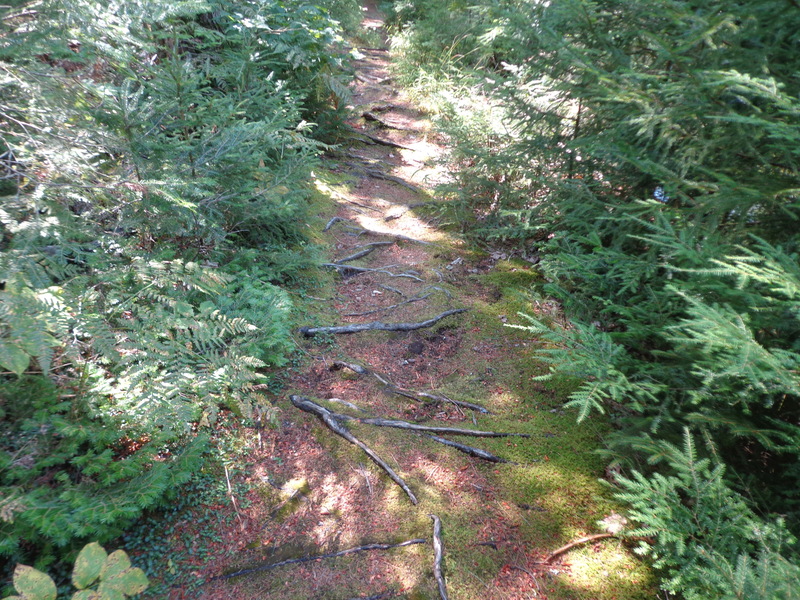 The forest floor is carpeted with moss, partridgeberry, wild cranberry and wintergreen. The trail finally turns from the river, circling over a small hill, past the Tanglewood 4-H summer camp (empty in September,) traversing a thick forest of maple, birch, oak, pine, spruce and balsam. Hikers must use care when reading the trail map or a wrong turning can lead to an extended walk back to the starting point and the waiting car. Overall, a most enjoyable afternoon’s excursion, and fodder for a lovely winter daydream.